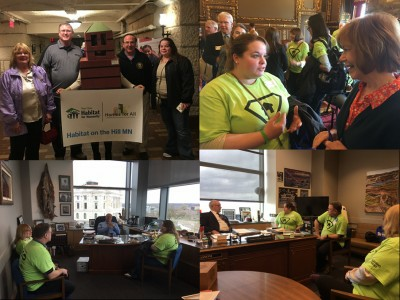 The need for safe and affordable housing is very evident, not only in Minnesota as a whole, but in St. Louis County as well. Housing is considered affordable if it consumes 30% or less of a household’s gross income. Generally when households spend more than 30% of their income to meet housing costs, they do not have enough income to meet other basic needs or weather financial setbacks. Minnesota Housing Partnership reported in their 2017 County Housing Profile that there are 21,930 St. Louis County families are cost burdered. · 80% of families who rent in St. Louis County with incomes of $20,000 or less are paying more than 30% of their income to meet their housing needs. · 62% of renting families who rent in St. Louis County with incomes of $20,000 to $34,999 are paying more than 30% of their income to meet their housing need. Habitat for Humanity seeks to serve families who otherwise would not be able to own their own home, that fall within 30% to 50% of the area’s median family income and have a minimum income of about $20,000. North St. Louis County Habitat for Humanity is one part of a great network of non-profit and government organizations that continues to work on the need for affordable housing. By partnering with you, we are making a difference in many people’s lives and getting closer to a world where everyone has a decent place to live. In July 2015, Melissa Wallace and family closed on their new home in Mt. Iron. Melissa spoke at her home dedication and this is truly "what it's all about!"